We insist that our guests experience the aspects of Jordan that set it apart from, and unite it with, other countries in the Middle East. And one must not forget, while enriching the experiences of our clients we in turn enrich the lives of Jordanians! The Royal Society for the Conservation of Nature (RSCN) strives to protect and conserve the rich and varied bio-diversity of Jordan. There are many socio-economic programs that are integrated into the general mission of the RSCN, some of which we offer. 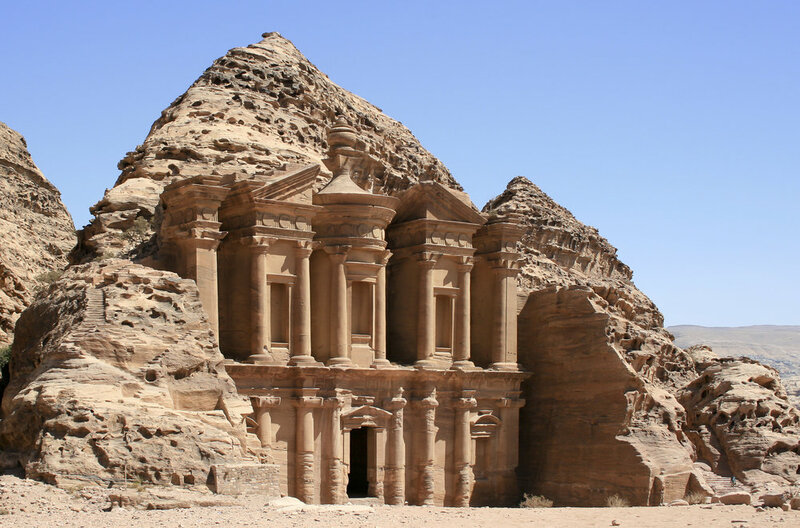 The main highlights of Jordan that most guests incorporate into their programs. These areas feature the best in Roman, Nabatean and Bedouin history and if you were to only visit these sites, you would leave the kingdom quite satisfied. The kingdom is so steeped in religious history that to come to Jordan and ignore this aspect of the country is impossible. The sites mentioned as having religious significance also happen to be quite beautiful, and at times inspiring, regardless of your own beliefs.